Among the large number of sports that humans have created and played, bowling is quite probably the most popular to play and longest lived. The sport has more than 50 million people in U.S. alone. It is definitely a sport that is much more popular to be played than most others. While football, baseball, and basketball are extremely popular to watch, the truth of the matter is once we are out of college, most of us are not playing these sports. However, bowling is played by kids and senior citizens alike. The best part about bowling is that it offers health benefits to those who play regularly. The health benefits of bowling can contribute to a healthy lifestyle. Among the large number of reasons for its popularity is that bowling is a very flexible sport. It lets players use easy adjustment methods and this is one of the main reasons why a lot of adults as well as children are able to and enjoy taking part in this wonderful test of skill. Bowling is also considered to be a very good form of relaxation, can help you to socialize, help get rid of stress, and act as a stimulus for your competitive nature as a sportsman. A large contributing factor to the simplicity of this game is the immense adaptability that it offers. The rules of the game are very easy to understand and learn, and the automatic scoring systems take care of all the scoring for you. There are a large number of people in this world that are being amazed by this sport and becoming a part of its large network. They start playing this sport not because they like the competition that comes with it but because of the fun they have and the ease with which they are able to pass the time with their family and friends. The ones that take it serious can actually make money in amateur bowling tournaments. Everyone that plays though gets to reap the health benefits of bowling! Bowling regularly can contribute to a healthy lifestyle. • One of the things most bowlers do, and is highly recommend, is to warm up and stretch before bowling. Just like any stretching exercise, this is great for the body. Even doing this exercise once a week is a great health benefit to you. This works joints, tendons, ligaments and muscles. • Bowling helps promote excellent muscle exercises . Just walking around in the bowling alley, and along the lane in the process of trying to get yourself a strike or spare, you will be doing enough exercise for the muscles in your legs to get a small workout. This exercise is something like the walking exercise which a lot of people perform and the only difference between the two is that in the case of a bowler's a little extra weight is involved. This is because while bowling, your hands are holding the bowling ball whereas while doing the walking exercise you are carrying nothing. Further, when you are swinging your arm to throw the bowling ball, the stretching and flexing that occurs provides enough exercise for the tendons, ligaments, muscles and joints in your arms. • Bowling can burn off calories quickly while having fun! • Bowling helps burn fat. As you flex your muscles with every twisting, swinging and turning motion that you perform while you are bowling you can actually find yourself burning a little bit of the excess body fat you have accumulated over the years. Depending on how much you weigh and how much effort you use, a game of bowling can burn anywhere from 170 to 300 calories. • Bowling can help you to make new friends. One of the best health benefits that bowling offers is that you get to develop a lot of new relationships with other people on the bowling lanes as well as improve relationships with the other members of your family and even your friends. There are quite a few psychologists that recommend building more friendships with different people as this has been shown to improve the performance of your heart muscles and increase your longevity. If you are suffering from emotional stress then you can severely shorten your lifespan and cause harm to your body. Thus, you should build your friendships and enjoy yourself a lot. Aside from helping you stay fit, bowling is a great way to interact with friends and meet new people. There is of course no other way for a person to have fun and enjoy himself or herself while being able to maintain a healthy life quite like bowling. This is a sport that is not too hard on your muscles but does not let you rest for too long either. Now, just bowling once a month is probably not going to be that much of a health benefit to you. You need to bowl regularly. Joining a bowling league is a great way to make sure you are at least bowling weekly. Getting a few practices in during the week is always a good idea too, and will help you improve your bowling game. Of course, if while at the alley you drink a pitcher of beer, eat a hot dog and nachos and cheese, you will cancel all this positive benefit out. But done right, a regular bowling regiment can contribute to an overall healthy lifestyle, and be a lot of fun too. 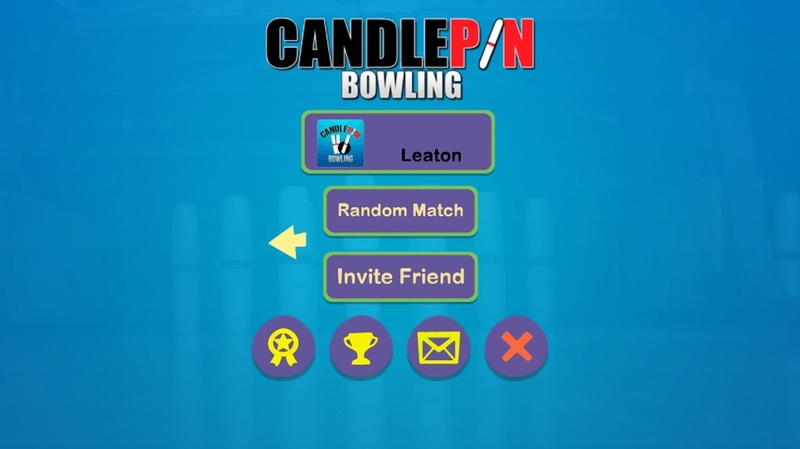 Candlepin birthday parties are a fun alternative to hosting a party at your own home. Many candlepin bowling centers offer party packages to suit any need and any budget. Check with any of the listed MBA houses nearest you see what fun they can offer your group or party! 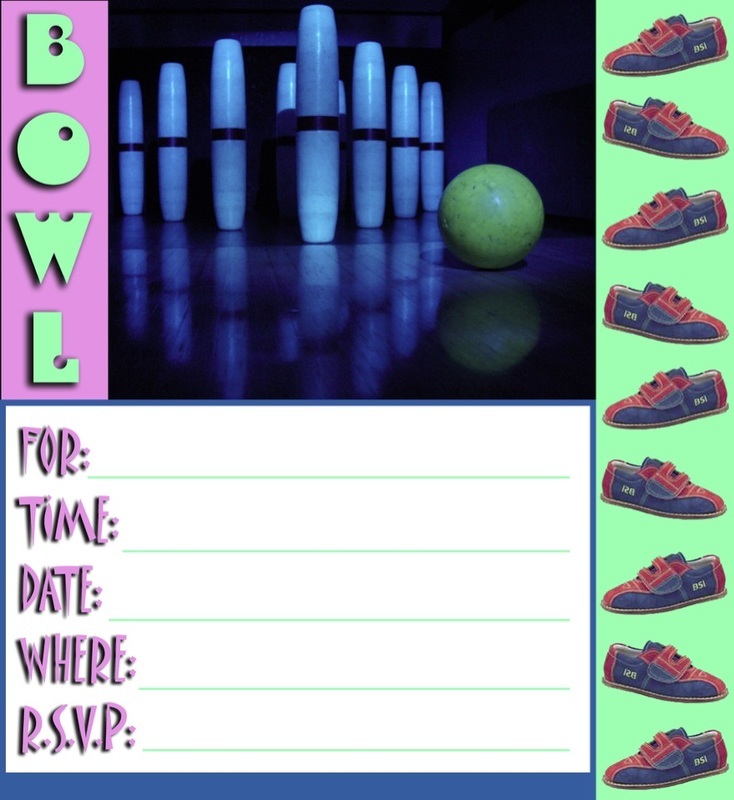 Below please find 3 candlepin invitations that you may print and use for your next party! Here is a link to about 90 online bowling games that you can enjoy at home - Enjoy! Here are some songs about bowing that are fun to listen to and even more fun to share with your friends...enjoy! A bowling fundraiser can be a fun and profitable event for your club. The event keeps people active and with a little advertising, brings more recognition for your cause. 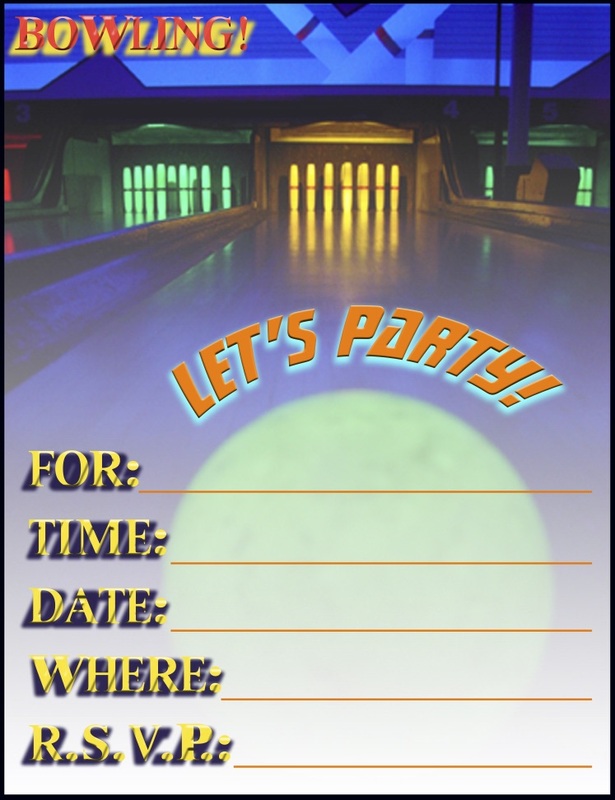 Here are a few tips and techniques to make this years bowling fundraiser wildly successful. A bowling fundraiser appeals to many people everyone from elementary students to seniors can take part. It is an active fundraiser that gets apeople moving and socializing. If you have a large group participating you can divide them up between age and skill level. Get local celebrities to participate in your fundraising event. A local TV station hosted the best publicized bowling fundraiser in our area. The on air announcers did live broadcasts from the event and the entire city was invited to come and watch the event. Almost every person in the area knew about the cause and the group hosting the event. Lots of great publicity and profit for the cause came from that union! If you don’t have a local TV station ask local ministers, radio personalities, politicians, actors and musicians to donate some time and attention to your fundraising cause. They’ll be happy to help you and it is also helps develop a great public image for them. Ask your local bowling arena if they will donate a few lanes or rent them to you for a cheaper price. Ideally you will want to have as many participants as you can. You should also invite family and friends to your event because they’ll have fun watching the event and allow your club to charge the admission plus profit from food sales. Sell items like sandwiches, salads, pizza and snacks. Your school or cause can host a bowl a thon. Have competing teams see who can bowl the longest. Individual players can collect pledges for each hour played in order to play. In the wee hours of the morning keep the music pumping and have the bowlers dig down deep for your cause. Award prized through the night for best string or high score to keep people motivated. Many bowling lanes are equipped to put on glow in the dark fundraisers. The balls, lanes and even pins are prepared so when the lights go down the neon starts glowing. 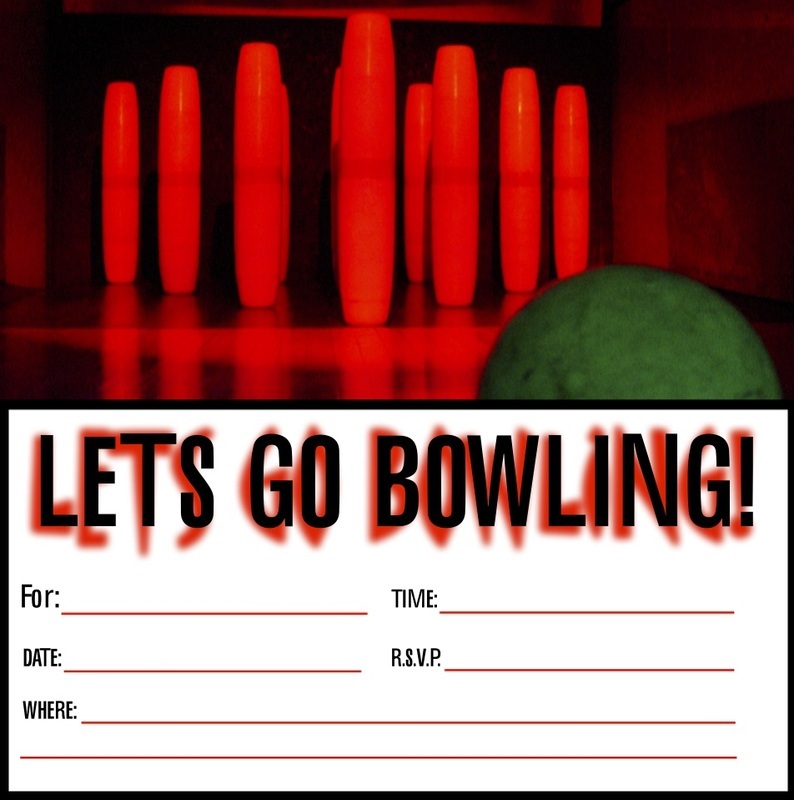 Throw in a theme to your glow in the dark bowling fundraiser like rock star, movie star, the 80’s and you’ve got a fun fundraiser ready to go! For the price of a roll of tickets, you can add an extra stream of income to your bowling fundraiser. This gives a lucky winner half of the take while the cause gets the other half. If the event is publicized enough and you have people dropping by, 50-50 tickets can be very lucrative for your organization. Along the same lines get pledges from people to donate extra money for every strike or spare scored. You can ask people around the community days in advance for this support. Because bowling appeals to such a large audience and is fun, with a little preparation your next event can be a very successful bowling fundraiser.